What can be said about Spotify that most of us don't already know? It's the most popular digital music streaming service out there, giving you access to millions of songs on your computer. However, the mobile service was once an exclusive feature for paid subscribers. Not anymore, suckers. Spotify recently announced that they will provide the masses with a free mobile alternative to their already outstanding music service, though it will have ads. Their are some key features that differentiate the two services. 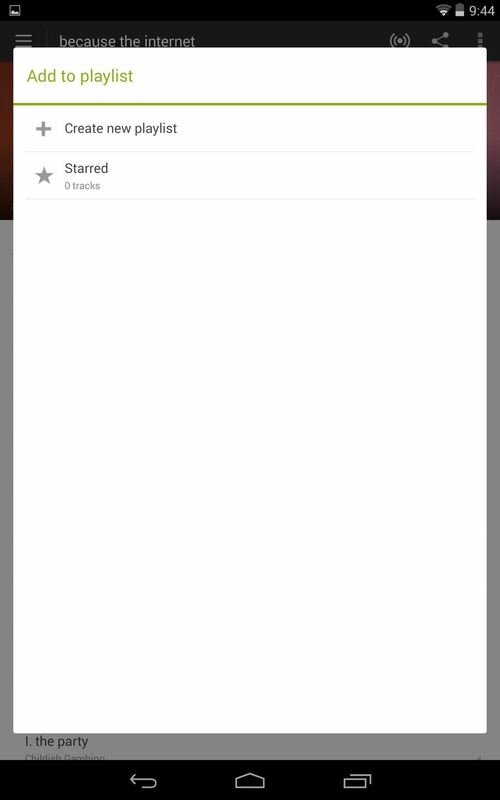 First, the free version is only made possible with ads (though, I'm sure there will be some kind of ad blocker coming soon to Xposed). Secondly, the paid version allows you to download and listen to songs offline. Do the Ads Ruin the Experience? Not at all. I listened to a nineteen song album and only got three advertisements which lasted only thirty seconds. Way less bothersome than Pandora, in my opinion. It's also important to note that the free versions also differ between a tablet and phone. Fortunately, if you're on a Nexus 7 tablet like me, it will be much like the desktop version where you have access to specific tracks. On the smartphone version, you're limited to using "Shuffle Play" only. This means that you can access artists and playlists, but will only be able to scroll at random with shuffle mode, and you won't be able to search for and play specific songs on demand. But you're on Nexus 7 softModder, so chances are this doesn't apply to you. Using Spotify is incredibly easy. It's straight forward and user-friendly, plus finding new music is incredibly simple. 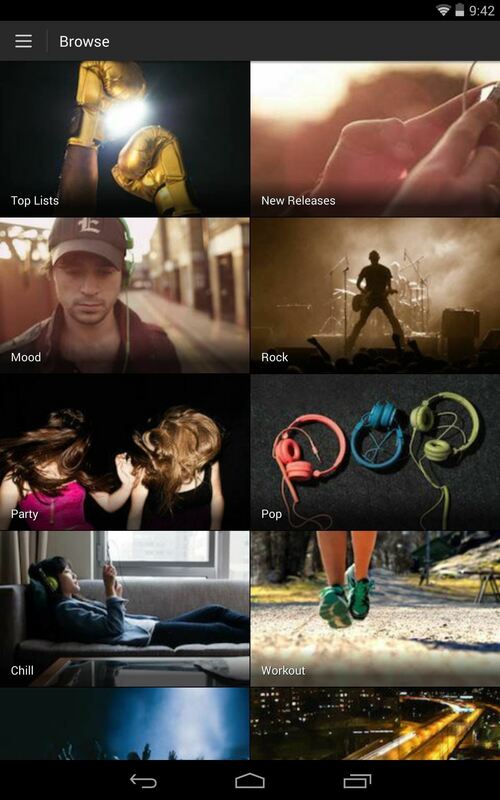 Browse through the extensive user and Spotify created playlists, which range from new releases, top lists, genre, and moods/activity. You're bound to discover something new that you like. You can also still search things yourself like track titles, albums, and artists. 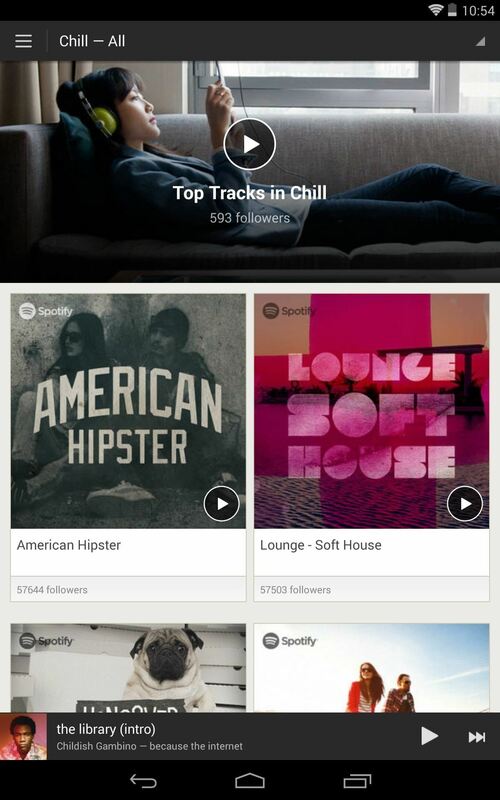 You're not just limited to other people's playlists in the free version—you can make your own. Here's the super easy guide to making your own playlists. Tap the pull-down menu on the far right of the track you chose. 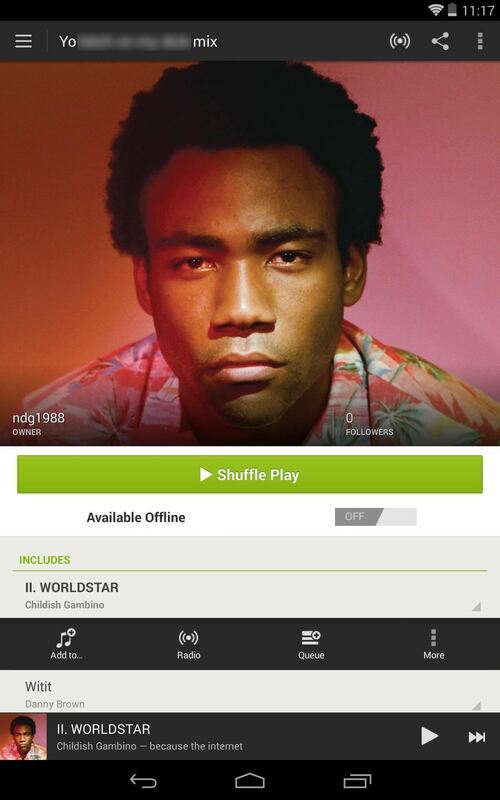 Tap on Create new playlist (or just add to existing). Name it, then select Create and add. Boom — you're done. Unfortunately, you can't reorder your playlist, so be selective when placing tracks. They also announced that Led Zeppelin, whom resisted the jump to streaming, has signed an exclusive deal with Spotify so its subscribers can now get their Led Zeppelin fix. But don't get too excited, there are only eighteen tracks, and worst of all—no "Stairway to Heaven". Though, more are said to be coming very shortly. I mentioned how easy finding music is, but if you just listened to Hall & Oates and want to stay in that mood, just bring up the options under the track again and select Radio. You'll get a custom radio station based on the type of track you just listened to. 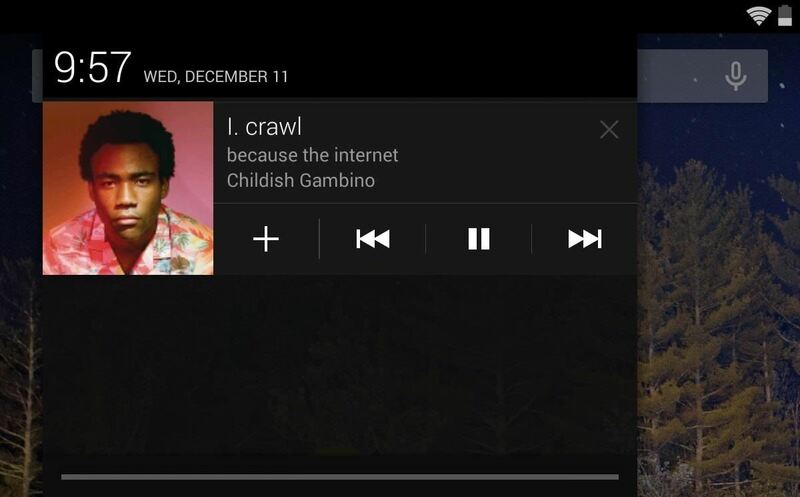 Another convenient feature is that you can change, pause, play, or add a song to a playlist all from your drop-down notification menu. Enjoy music and the excitement of discovering new music. Make awesome playlists that will set your night off. This may now be my go-to music player now just because of how stress-free it is, and it's way better on my tablet with the track selection feature. I don't have to download music anymore and the only thing I need to endure is a thirty-second ad. You say you have a Nexus tablet. It that the 7"? 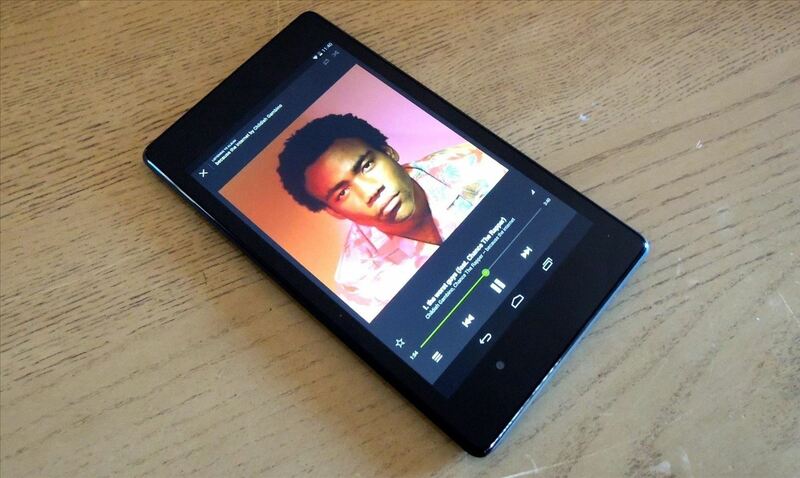 Does it work with spotify as they say it would for tablets? The reason I ask, is that I have a kindle fire hd 7" and I can only shuffle my playlists. They told me that I had to have a tablet larger than 7 inches and I would like to verify that. Thanks for you help. Yes, it is a Nexus 7 2013, so what they're telling you seems like BS.